When your pet has surgery, it is common to feel worried and overwhelmed, especially when it comes to the post-surgical care you will need to give your pet at home. Thankfully, you can rest assured that your veterinarian team is certain that your pet is stable before sending him or her home to recover. 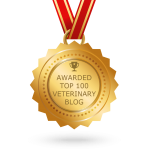 And while the vast majority of patients heal without issue, it is important to know what to watch for in the unlikely event that your pet does develop an infection or other issue. 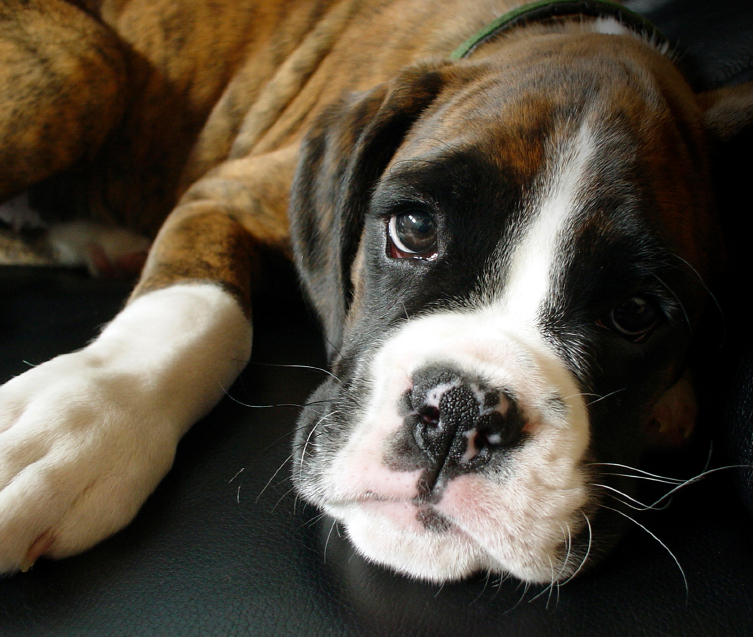 Here are a few tips on how to help your pet heal, and what to know if complications do arise. One minute your pet is fine, and the next she is squinting her eye, tearing and reluctant to open the eye. You call the vet and they tell you to come in right away. 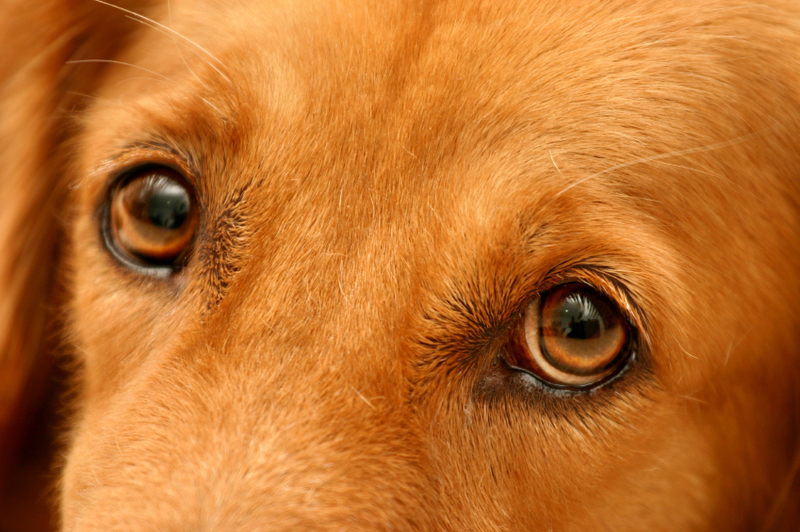 What could be happening with your pet’s eye health? One of the most common causes of these symptoms is a corneal ulcer. The cornea is the clear tissue at the front of the eye. Although similar to skin, having an outer epithelial layer, middle stromal layer and inner endothelial layer, the cornea is very thin being approximately 0.5 mm. If the outer layers of this tissue are damaged then a corneal ulcer or “an open sore” of the tissue develops. There can be many underlying causes including trauma, eyelash problems etc., however many times the underlying cause cannot be determined. 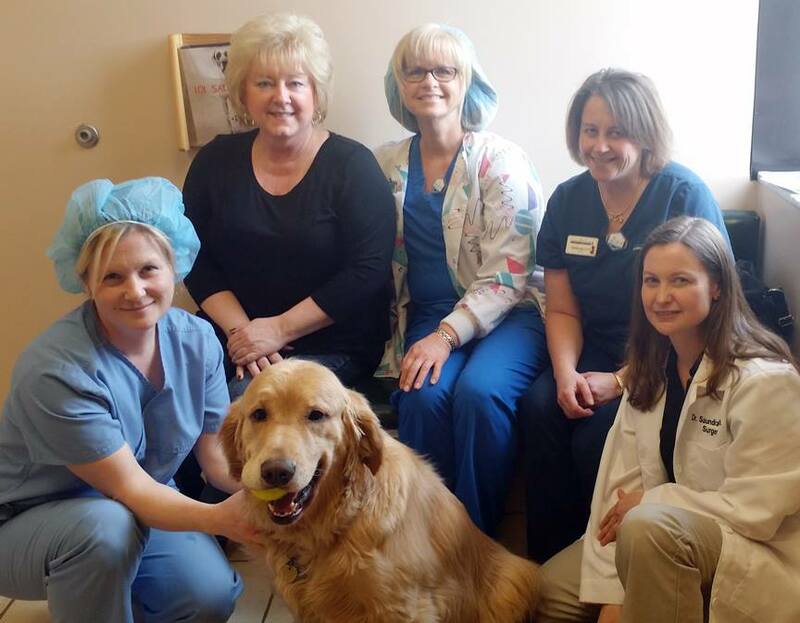 Quinn, a Golden Retriever who is part of St. John Providence health system’s pet therapy program at the Oakland Center, didn’t know that he was “paying it forward” by helping patients through their illness’ and recovery. He was just being a good dog, and doing what he does best: helping those in need. But, as it turns out, that’s precisely what happened. Last month (February 2014), Quinn suffered from a ruptured cruciate ligament in his knee, and was in need of TPLO corrective surgery if he was going to continue with the important work he does at St. John’s. When the staff at OVRS heard about Quinn’s condition, we knew we had to help. As a result, on February 22, OVRS’s Dr. Saundra Hewitt performed the surgery on Quinn, free of charge, as a way to say thank-you for all the comfort and good works that Quinn and his fellow therapy animals do for the patients for the St. John Providence health system. Three weeks later, Quinn is doing great! He’s up and moving and enjoying his “time off” while his incision heals and he regains his strength. As soon as the risk of infection (for all involved) has passed, Quinn will be back to making his rounds at St. John Providence’s Oakland Center, but now with a special understanding of what it means to be the one in need of care. For those of you who are unaware, the St. John Providence health system offers pet therapy for the patients, visitors, and associates throughout the system. Quinn is one of seven dogs participating in the program, along with Parker, Wilbur, Murphy, Mac, and Lilly. Together, these incredible animals deliver what is often regarded as “the best medicine of all,” a warm heart, a wet nose, and a loving touch. These dogs bring comfort, smiles, and peace to those who spend time at the St. John Providence locations. As therapy animals, each dog has been specially trained by Paradise Dog Training, and has extensive socialization skills. These amazing volunteers are partnered volunteer dog handlers, and work weekday hours. When not working, Quinn and his associates spend time living with host families as regular dogs. If you would like to contribute to the pet therapy program at St. John Providence health system, please call Heidi Crisman at (248) 465-4511. Thank-you Quinn, for all you do. And thank-you Dr. Hewitt, for providing Quinn with the care he needed to continue his work. This spring, OVRS’ veterinary behaviorist, Dr. Theresa DePorter, DVM, MRCVS, DECAWBM, DACVB, will be spearheading a clinical trial of a new pheromone aimed at alleviating aggression and tension between cats in a multi-cat household. If your cats are prone to fighting amongst themselves this clinical trial may be an exciting opportunity for you and your cats. If you are interested in participating in the study, here are the qualifications and requirements for your consideration.